GoDaddy Managed WordPress Review – Is it Worth It? Shayan on Balanced VS Unbalanced Cable, What’s the difference? Jared Marshall on Balanced VS Unbalanced Cable, What’s the difference? JMB on Balanced VS Unbalanced Cable, What’s the difference? Luke Bryant is a graphic designer, illustrator, web designer etc., by day, based over at fartsake.com and fasprinting.co.uk - One day he may even have enough time to design something awesome for this site… once he's done a new website for FAS… and all his paying customers… but definitely after that! Spend most of my time working or in a Coffee shop in Uxbridge reading news, blogging or shopping. I work with a lot of local businesses in my ‘day job’ as a web designer/website management guy/website munchkin, and that job can vary a lot. One week will be uploading some new images or writing some new copy for a new page, or discussing ways to improve a website. One of my “regular” customers is a local plumber based in London (ttplumbingheating.co.uk), that usually just needs some pages amended, or some advice on SSL/TLS certificates. I regularly update his website with news or changes, and I have been working with his website for a few years now (he obviously trusts me to do it more than the guy that originally built the site… or maybe I’m cheaper). Usually, he will send over what he wants to be completed, and either ask for a quote or I’ll just charge for my time. The regular begging ensues, where I ask him to finally update his website to run on a CMS so it’s easier to update, and I begin the work. Well, not too long ago, he sent me a bit of news that he wanted on the front page, he sent me a picture and a few links to articles. As it turns out, he had recently been awarded ‘Master Plumber‘ status, by The Charted Institue of Plumbing and Heating Engineering or CIPHE for short. And, quite frankly, I was amazed! “There’s such a thing as a Master Plumber?” I thought to myself. It reminded me of the Master Builders in LEGO movie, and I just had to look into it. 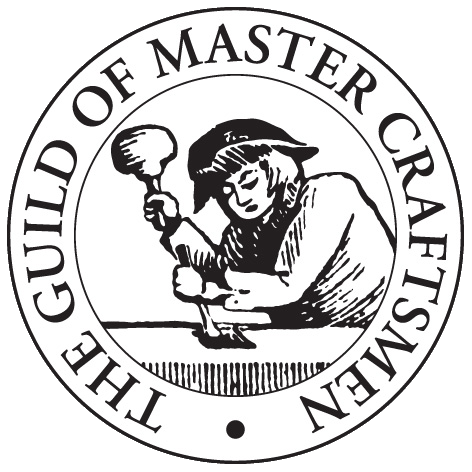 Not just that, but the Master Plumber status is also governed by The Worshipful Company of Plumbers! I kid you not! There is clearly a whole world that I didn’t know existed. I mean, I guess it makes sense, but I just never knew about it. The first thing I do is congratulate him on something that sounds pretty awesome and prestigious! And then ask if there’s a Master Plumber logo or badge we can use on the website. So, I decided to set out and make a small, simple, logo that can better illustrate that this guy just got a fricking award for being a MASTER PLUMBER!! I think it should still have an old-fashioned vibe, maybe a bit hipster, so I am running through some designs. From my point of view as a graphic designer, and a website designer; a picture, definitely speaks 1000 words. It is so much easier to convey an award with a visual queue, rather than a paragraph of text. If that image then makes a person read the text to find out more, great! But without it, they may not see the text at all. I will keep you updated as I create new logos on this project.